How did it happen that Manitoba women were the first women in Canada to win the right to vote? It did not just happen. There is a tide in the affairs of women. The editor of a weekly newspaper in Manitoba sensed that tide and started a women’s page that was called “Home Loving Hearts.” Country women were invited to write to the page and tell their dreams, their hopes, and their problems. Soon hundreds of women were writing letters. Many facts emerged, also many beautiful, inspiring dreams that go into the building of a great nation. But many sordid conditions were bared, too, and one was that no mother in Canada, at that time, had any legal claim to her children. Also, married women had no legal claim to their home or anything in it, not even the clothes on their back. A letter to the “Home Loving Hearts” page from a woman in Alberta was the final straw which made women in Manitoba rise up and organize the Political Equality League, with a determination to change such conditions. This woman wrote most understandingly and affectionately of her husband. She said he had become an alcoholic so they came to the West to take ’up a homestead and pre-emption far from a town and the temptation of liquor. They prospered. They owned their land. They had a nice house, good farm buildings, and good farm stock and machinery. They also had a lovely family growing up. Then came a railroad and a station quite near. A little town grew up, overnight it seemed; their land became valuable and liquor was at hand. One day two men drove up to that farm home when the husband was away on a spree. They told the wife they had bought the farm and everything on it, except the family, and the family would have to get out immediately. Some Winnipeg women read that letter. 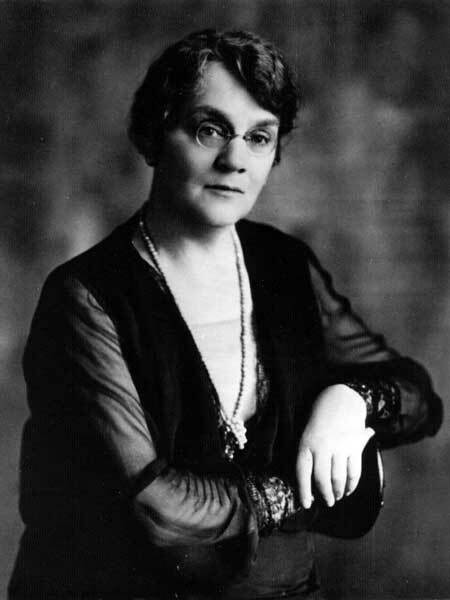 A small group of them met in the home of Mrs. Hample, a great philanthropist, who helped to found the Knowles Home for Boys, and was the first woman elected to the Winnipeg School Board. These women organized the Political Equality League, not to fight the men and women who were opposed to “Votes for Women,” but to explain to them what it meant to women and children who were in the power of weak, coarse, unfair, sick or brutal men. There was to be an election in Manitoba. The party out of power promised to give the women the vote if they would bring in a petition signed by enough people to prove Manitobans really wanted “Votes for Women.” I think it was 40,000 signatures they asked for. Country women and city women went to work with a will. The women as a whole believed Western men were broad-minded enough, that all they had to do was to show them the injustice and indignity of such a position and they would change it. The women were right. There was no bitterness in the campaign. Meetings were held where people who could speak and knew the laws gave their time freely. Of course we were laughed at, pointed out as freaks, but we remembered the woman in Alberta. Women went from farm to farm in country districts getting signatures to the petition. Some walked, some rode on horseback, some drove in a buggy or a buckboard or in a lumber wagon, and I heard of one even riding on a stone-boat. In the city women went around with petitions too. One old lady devoted all her time to it, and enjoyed it immensely. Not many could refuse such a sweet old lady, although many of them had never given the franchise a thought. The Women’s Press Club put on a Women’s Parliament. Mrs. C. P. Walker gave the Walker Theatre, now the Odeon, for two nights. Mrs. Nellie L. McClung, a brilliant speaker and writer, was the Premier. It was a real campaign but it left no scars. Instead, I think every-one who took an active part in it gained in stature as a citizen. I know I felt I did.